Gas was cut off in houses allegedly due to the emergency condition of the ventilation ducts. 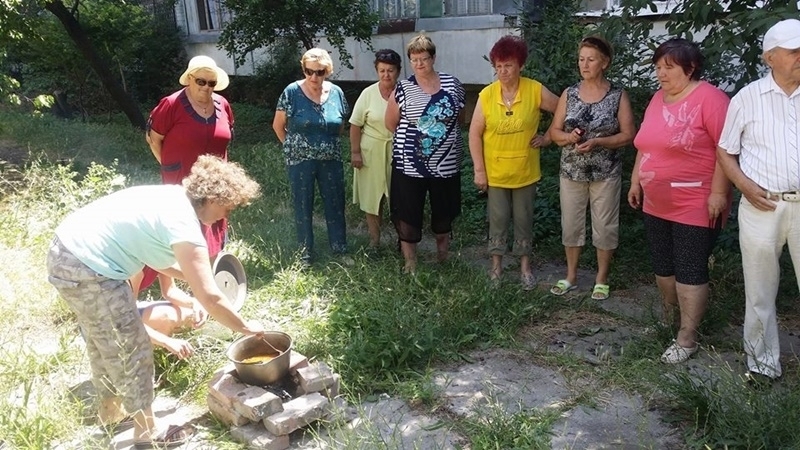 According to local residents, 1.5 thousand apartments have been disconnected from gas supply in occupied Feodosia. People decided to draw public attention to this issue by cooking on fire, the Facebook user Aleksandr Talipov reported. According to him, gas was cut off in a hundred of apartment buildings. “The tenants are sure that the gas is cut down illegally in violation of existing regulations. Tenants of the house number three in Odesa street are on the video. 15 apartments were cut off from gas in this house, allegedly for the emergency condition of ventilation ducts in this house. The tenants had to pay about 30 thousand rubles from one apartment for repair of channels. It means almost half a million from 15 apartments!!! However, an independent organization has conducted a check and it identified that the ventilation ducts were in a good working condition. People had to heat water with heaters, paying a higher price for electricity”. Talipov went on saying that some citizens went out to cook food on bonfires in order to attract attention to their problem.